Carey Jones, the editor of the Serious Eats: New York website, has reviewed smoked trout crepes and pumpkin-goat cheese croquetas. She’s tasted rose petal doughnuts, mushroom toast, and roasted pear pizza. But at the end of the day, sometimes all she wants is a plate of scrambled eggs. “I have all this delicious food in my work life, which makes it easy to eat boring stuff the rest of the time,” she says. From hunting down the best cookies in New York to learning how coffee grows in Brazil, Carey’s job allows her to eat, travel, and write – many a foodie’s dream. At Serious Eats: New York, the five-person editorial team is interested in the way that food, value, atmosphere, and story intertwine, she says. A meal is just as much about the people making it as about the food itself. Job description in one sentence: I eat, write, and deal with what others have eaten and written. How she got the job: I interned for Serious Eats the summer before my senior year at Princeton, in 2006, before the site officially launched. After graduating, I continued freelancing for the site, and was brought on as the editor of the New York section two years later. Best part of the job: Our staff is somewhere between a secret club and a weird family. 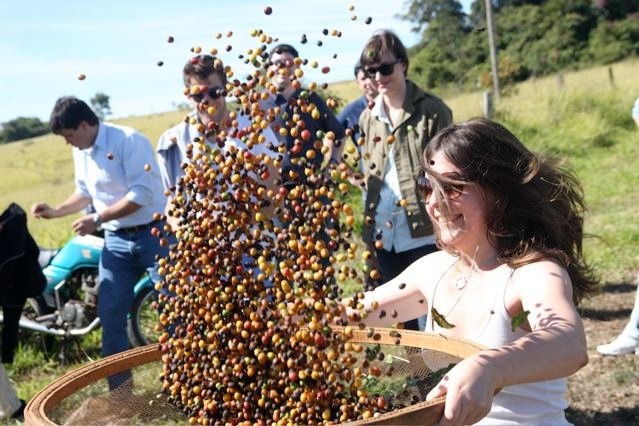 I’ve also been able to do a ton of traveling; last year, I went to a coffee plantation in Brazil during coffee harvest season. Hardest part of the job: Eating when you don’t want to eat. If I’ve had six slices of pizza, I don’t want the seventh, but still have to discern whether it’s good pizza. Does the site endorse restaurants or simply describe the food? Everything is colored through the lens of our opinion. We review restaurants twice a week, which are written by myself and a few other editors. For the most part, if we eat a mediocre sandwich, we probably won’t write about it. But if it’s amazing, we’ll certainly tell people. Do you get preferential treatment at restaurants? 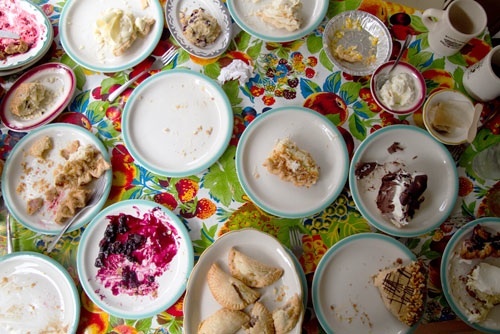 We enter anonymously, buy the food, and write about it. Otherwise, it’s not fair. What defines a Serious Eats review? At the end of the day, people aren’t typically eating four-star $40 entrees. So instead, we look at what people want to know on a daily basis; we publish a daily column called “A Sandwich a Day.” We also put an emphasis on the food over service and atmosphere. If you had to live on one food for the rest of your life? 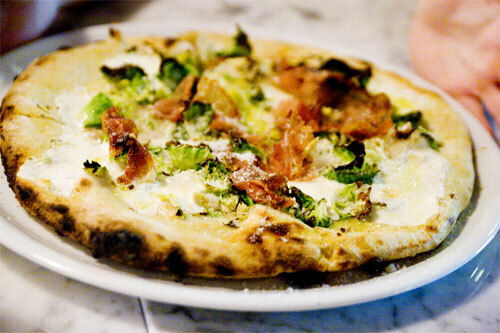 Either Neapolitan-style pizza from Motorino Pizza in NYC’s East Village, or Greek yogurt. Guilty pleasure: Huge, gooey cinnamon buns. How do you not gain 500 pounds at work? You learn really quickly that you can never take more than two bites of anything, no matter how delicious. It’s all about moderation. On my off days, I have the most boring diet – eggs, lentils, and spinach. And I work out a lot. Where do you see yourself in five years? Journalism is changing so quickly, it’s hard to imagine what media will look like in five years. Right now, I feel like I’m holding onto the edge of a rocket ship. My job never gets boring because Serious Eats changes every day, and the industry changes every day. I’m always working on new projects. Like what? Finding the best chocolate chip cookies in New York. I’ll draw up a list of places, coordinate research efforts for taste tests, and write up the article. Your biggest project? This November, we’re releasing a book called Serious Eats: A Comprehensive Guide to Making and Eating Delicious Food Wherever You Are (available now for pre-order on Amazon). Spearheading the book has been a huge part of this past year. Yummiest but most under-appreciated food: Soft, mild Italian cheeses, like a perfect ricotta or mozzarella. What are you working on right now? Our site could do a much better job of giving discerning entry-level information for tourists who are just visiting New York for a few days. I’m working on roundups of where to eat in places like Grand Central Station and Times Square, and hope to create more of a home base for people who want to get their feet wet. 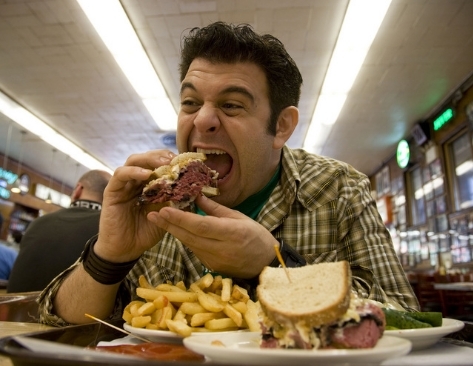 What do you think about America’s obsession with competitive eating shows, like Man v. Food? There will always be low-brow entertainment. People watch it for the gross-out factor and the novelty. Love eating, writing, and traveling? Carey Jones sets you down the right path. 1. Write as wisely as possible. Freelancing was very unrewarding at first; I would write 50 pitch letters in a week and only receive one response, which would usually be “no.” Pitch to a broad range of publications, and turn responses into dialogues. Instead of stopping at a “no,” follow up with another pitch. 2. Express a genuine curiosity and nuanced interest about food, not just, I love food! I eat all the time! I’m such a foodie! Instead, talk about a specific food or culture you want to learn about. Also, since online food photographs are huge, know how to take a decent, clear picture. 3. Balance the elements of people, their story, context, and food. You’re not just writing about a restaurant – you’re also writing about a chef. Lots of people submit pitches about new openings or hidden gems, which make my eyes glaze over. Click here for more Foodie Fridays! 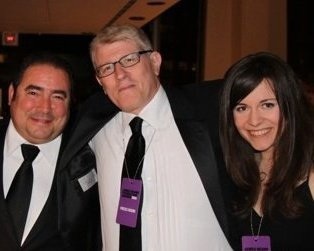 You can follow Carey Jones on Twitter at @CareyJones and @SeriousEatsNY.